This post is for Jio F90M Headphone problem solution. So if you are having Headset connectivity issues with your Nokia 107 diagrams in this post can help you. The problem might be in the Audio Jack of your phone, you might need to replace Audio Jack. Volume settings might be low or there might be a problem in your headset. Dry soldering of Audio Jack contact pins or any kind of water damage might also have damaged your audio jack onboard connector. Check your phone’s volume settings and check. Check with any other working headset in order to verify the actual cause of the problem. Clean Audio jack contacts with the help of cotton cloth and check. Re-solder all the pins of Audio Jack and check, as sometimes it becomes dry solder or soldering comes off due to any kind of physical damage. Also, check for traces of water damage and clean it. If the above-mentioned steps fail then replace your Audio jack with a new/working one. All above method fails then make a jumper like below diagram. All the above methods will surely solve your problem, but make sure that you check the status of your Audio Jack after every step you perform, as it might be able to solve that problem. 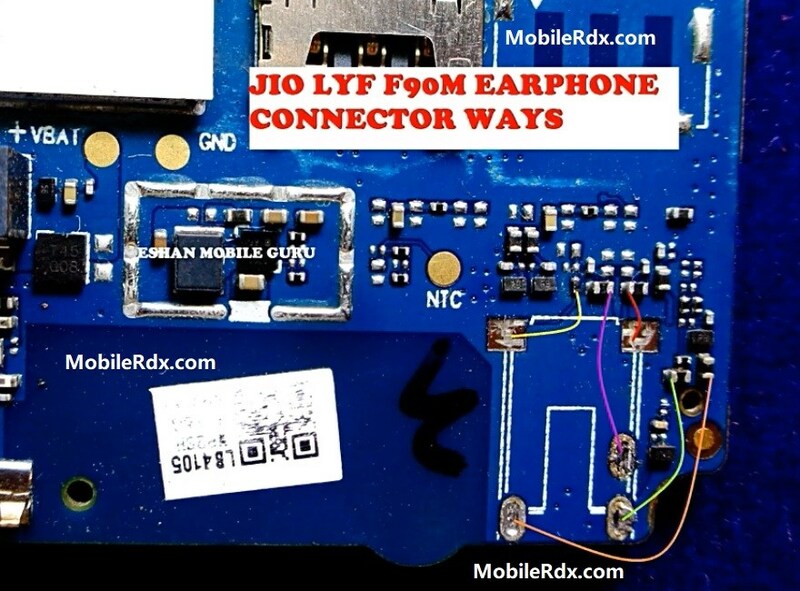 Jio F90M Headphone Mode Activated, Headphone Ways, Jumper, Handsfree Solution, Handsfree Ways, Not Working Problem.